Now I know what it feels like to be a penguin swaddled in a girdle…not that I had given it much thought before. 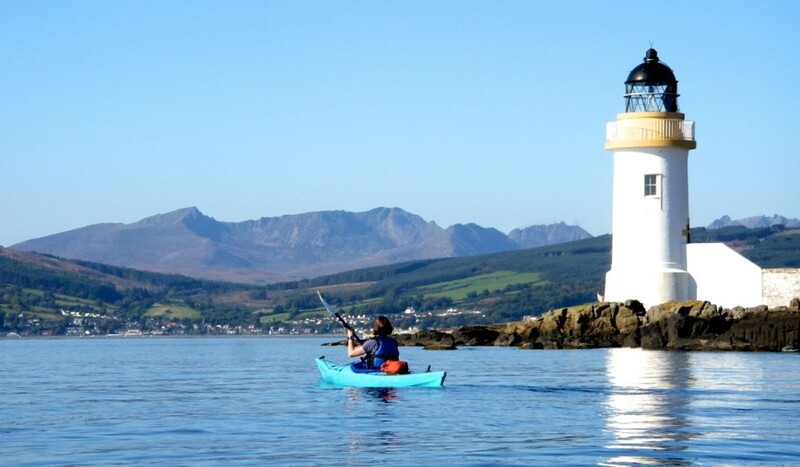 But as I waddle into the cool shallows of Lamlash Bay on Scotland’s Isle of Arran, lumpily sheathed in neoprene and dragging my bright red kayak behind me, I feel as awkward as that klutzy, egg-shaped comic. I’m hoping that when I finally reach deeper waters and launch myself into my craft, I, like the stubby-legged polar bird, will take on some measure of aquatic grace—but in my heart, I know better. Amy Laughinghouse, September 18, 2014. 5 Comments on Safari, Scottish-style, on the Isle of Arran. Category: Europe, Islands and Beaches, Scotland, United Kingdom. Tagged: Isle of Arran, Scotch whisky, Scotland, Scotland in Miniature, whisky.